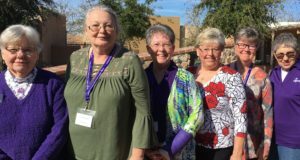 Fountain of Life volunteers share Christ’s love by providing weekly chapel services at three local nursing homes; Devon Gables, Foothills Rehab Center and Woodland Palms. These services can often be the only chance for the residents of these facilities to worship and are highly valued by them. Large Print Bibles for the visually impaired are produced weekly at FOL by a small group of dedicated volunteers. Lutheran Braille Workers. Inc. submits to our Ministry Center 200 requests for the Bibles. Currently our center produces 11 sets of 6 volumes each per month. Books are shipped throughout the U.S. and world. The tasks required for producing the books include printing, punching the paper and covers, binding each volume, proofreading. making boxes, packing, labeling the shipping. New volunteers are welcome to attend the workshop on Thursday mornings at 9:00 am in Room 10. LWML (Lutheran Women’s Missionary League) is the official women’s auxiliary of the Lutheran Church – Missouri Synod. Our motto is “Serve the Lord with Gladness”, Psalm 100:2, and LWML is focused on affirming each woman to live out their Christian lives in active mission ministries and supporting global missions. Here at FOL we have several opportunities for women to serve including an evening quilting group, Ruth Circle who pieces and ties quilts for Lutheran World Relief and local needs, and we always need women to work on projects at home for our sales and outreach programs. We meet on the 2nd Tuesday of the month and welcome all women to attend. 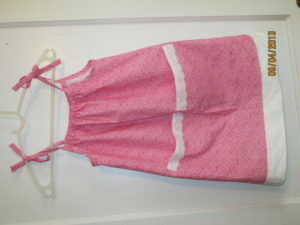 It’s been three years since LWML started the Mission Dresses for Honduras project (aka ‘pillowcase dresses’) with the Open Door Ministry, located in the Tocoa, Honduras area. The Open Door Ministry is about children, about their physical, educational and spiritual well-being. The Ministry operates an orphanage, feeding stations for children and the one that FOL’s LWML has focused on: the home for sexually abused girls and their children. Here the girls, age 11 to 17, get counseling, learn how to care for their babies, they get an education and they learn about Jesus and His love and care. 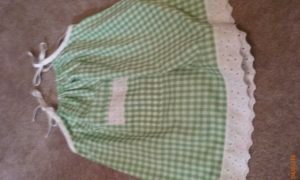 The LWML project has provided dresses for girls whose lives have been so difficult: pretty dresses that let them know that they are loved and cared for even by people as far away as Tucson, Arizona. The Ruth Guild sends about 20-25 quilts to Lutheran World Relief each year. 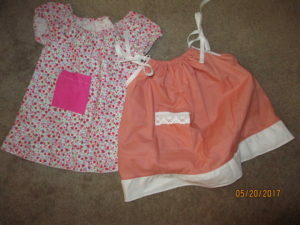 These are made from new and clean recycled fabrics. Along with the LWR quilts, the Ruth Guild makes about 30 quilts for our local Holiday Market. Proceeds from the Market go to our mission projects fund. The Ruth Guild also makes quilts and blankets for Tucson Medical Center Children’s Hospital and quilts which are used to honor our veterans through the TMC hospice program.